Not too long ago, I posted about finding a happy digitally creating home. Unfortunately, today marks the first day that it has officially closed its doors. It doesn’t quite feel real since one door closed for me in early February so I thought this happy door was the one open to a long term home. And yet… I find this door closing as well. What’s next for me? It continues to unfold. What I do know is that I will always be happy to create. I have discovered that about myself on this journey. I simply love to create. In all forms. 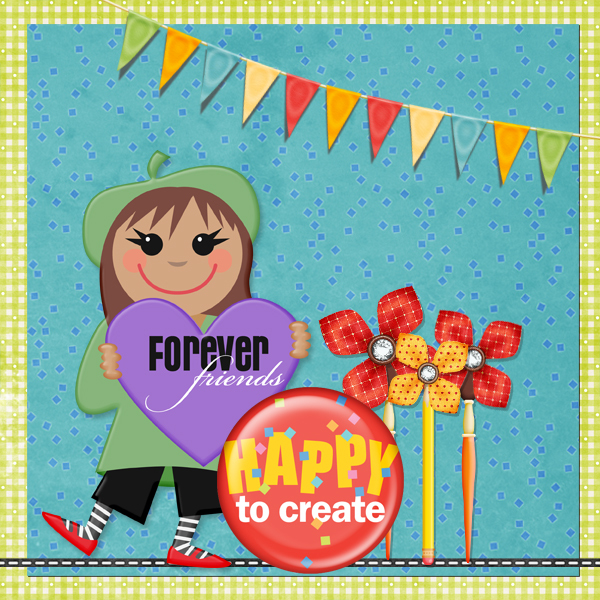 I am beyond blessed to have had the opportunity to work with the fabulously talented creators at happy to create. It is always a joy to find a community where common passions link members beyond physical location. I know too that I have made some forever friends who have never ceased to be my greatest creative champions, even when I did not believe in myself. That alone is worth more than I can ever say. Faithful Customers, Fellow Scrapbookers, and Dear Friends,Since May 2011, it has been our privilege and honor to share our products, our ideas, and our life stories with you.As with all good stories, the time comes to turn the page to the next chapter and to savor the next great adventure. That time has arrived for Happy To Create: We are closing our shop on June 30th.Our hearts are filled with happiness, imaginations filled with inspiration, and souls filled with excitement for the amazing things about to come.Thank you for joining us on our scrapbooking and crafting journey, for testing new technologies, and for using our products to preserve your memories.Here’s a fond farewell as we continue our lives—happy to create. Please take a moment to pop in and say hi to all of these wonderfully creative people. I know you will be glad you did! Thanks for reading and keep on creating! It is always hard to say goodbye, but it is a wonderful thing to look at this the way you are. I congratulate you for it. It is not easy. All the best! Thanks. I am trying to stay optimistic :). It’s hard sometimes!